Meet outside Buckfastleigh Station Refreshment Rooms and then into Picnic Coach. Welcome the participants with a free cup of tea or coffee and brief introduction about the format of the day and the SDR. Participants to have been ideally sent website info details about the SDR in advance. Equip each participant with a loan only Hi-Vis item of clothing for use during the day. Participants are advised to bring a packed lunch in advance but can buy food at staff rates in café. 10.45am set off around the Buckfastleigh site, after seeing departure of second steam train, for a conducted tour in groups of five, if more than 10 people attend. Introduce various heads of department or nominated deputies / representatives either en route during the tour or at approximately 11.45am on return to the Picnic Coach. 12.00 Participants should then be allowed to be taken behind the scenes with the head/rep of department of their choice if they wish. Some may wish to see behind the scenes of more than one department so will need to be escorted from one to another. Participants advised to return to Picnic Coach or to be collected by SDR roving guides. Lunch break, but with tea or coffee provided by the SDR, at approx. 1.30pm A trip down the line to Totnes on the 2.15pm train. Allow time at both Staverton and Totnes to allow the participants to see what is involved at each location involving reps from both station groups. Return to Buckfastleigh for a 5.00pm finish. This is an outline of the day, which is subject to variation. Advance notification of intention to be present will greatly assist with planning the day. Please advise the office at Buckfastleigh (01364 643536). 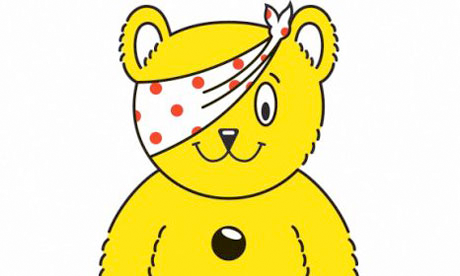 Friday, 20th November is BBC Children in Need Day. There is a plan for the SDR to stage a Pump Trolley Marathon from 7am to 7pm, from Buckfastleigh Station (Amount of track available to be confirmed). The aim will be to cover 100 miles if possible - but ten years ago the same event only covered 83 miles. So this is some target. Many teams of four persons will be needed throughout the day. It is also planned to have lots of activity going on at the Station that day. Once again any help you can offer will be gratefully received. Turn up, and you may just get your face on the television!